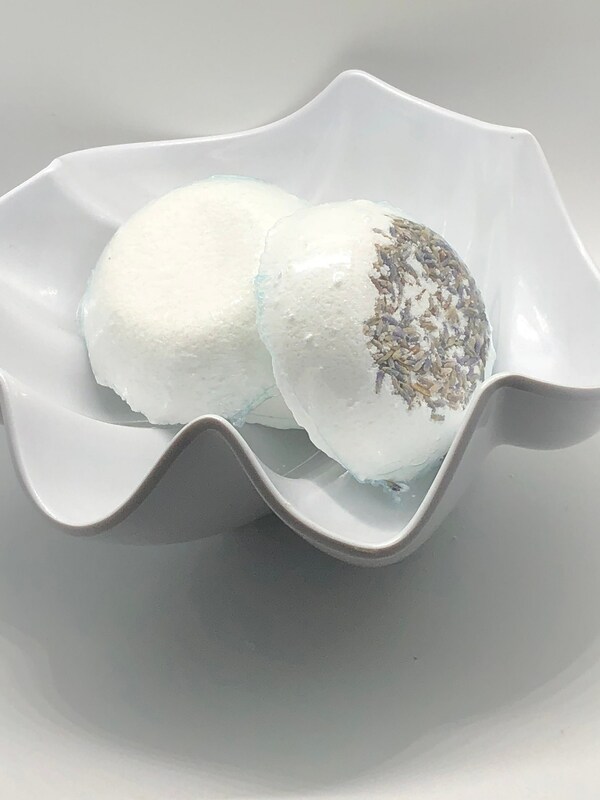 Shower Steamer Tablets are a great, all natural way to infuse essential oils into your shower. 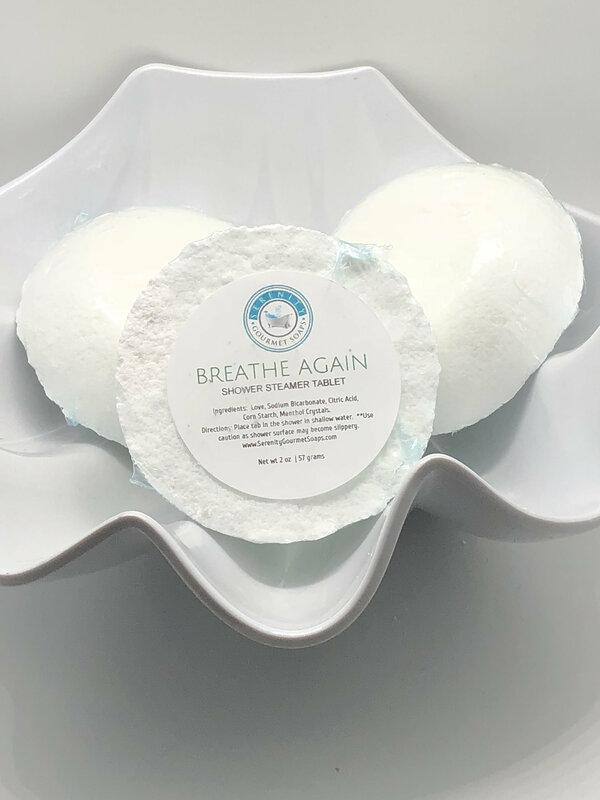 Whether you are suffering from sinuses and want to open up a bit with our "Breathe Again" tabs or, you want to relax with our Lavender "Woosahhh!!" tabs, we have you covered. 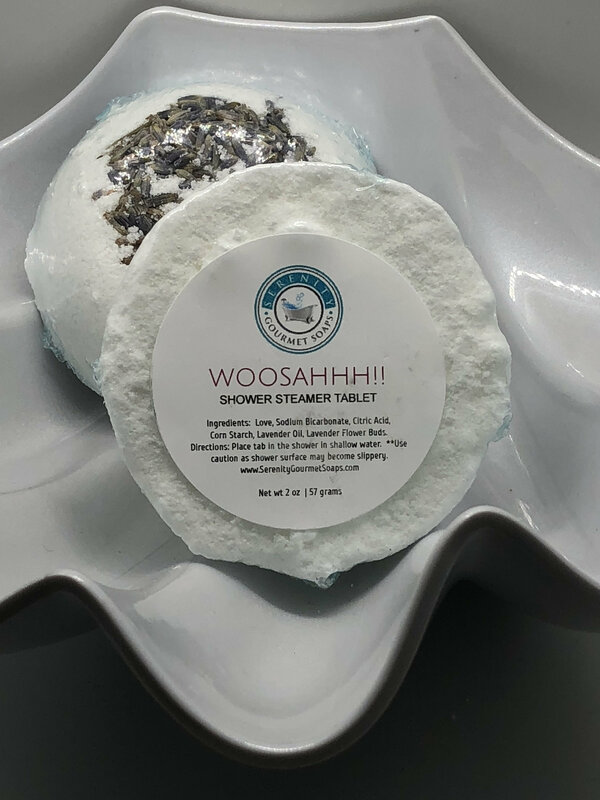 Simply place one of the Shower Steamer Tablets in the rear of your shower and inhale the essence of the essential oils and menthol crystals. Each Shower Steamer Tablet comes individually shrink wrapped to ensure freshness and quality.